Who has better french fries in Carytown – Can Can or Carytown Burger? 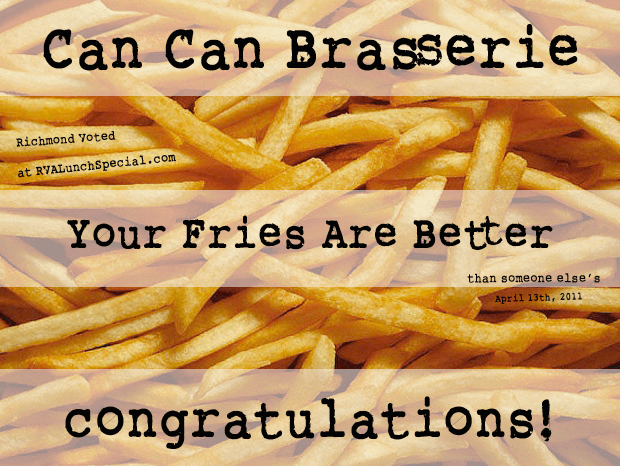 I contend that Can Can has the best french fries in Richmond. Some people disagree. Some people get angry when debating french fries. Those people are stupid. Don’t be stupid. Congratulations to Can Can. You won by a decent margin.